The illumination set lights the interior of the topcase. Bright white light -emitting diodes are responsible for the illumination. The diodes are placed inside the casing as not to take away any spare room or to break the LED if the cases are fully packed. Moreover, the illumination even works if the ignition is not running. The power consumption for the LED is very small, which means that even if they are running for a longer period of time, the battery will only be de-charged to a very small extend. To install the lights, exactly fitting wholes have to be drilled into the interior trim. 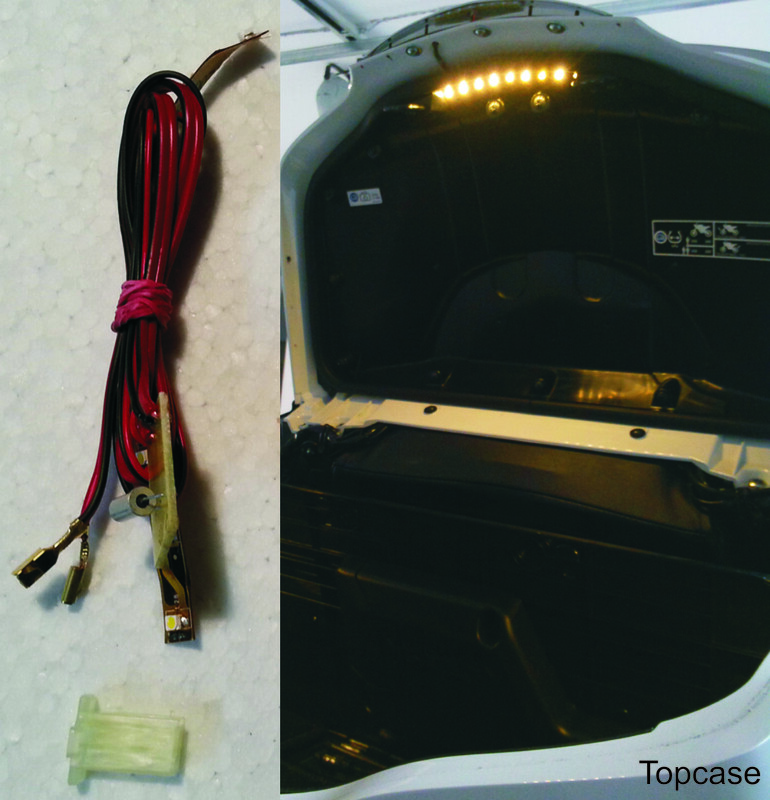 Illumination sets for the topcase including electronic accessories and cable sets.